We rehearse every Tuesday night at 6:30pm at Xavier College Prep, Student lounge on the 2nd floor, Berger Athletic Center, 34200 Cook St., Palm Desert, CA 92211. We guarantee you will have a good time. Who is The Sandblaster Chorus? 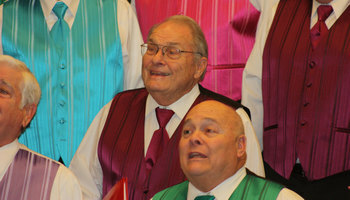 The Sandblaster Chorus is the premier a cappella men's chorus in the Coachella Valley. 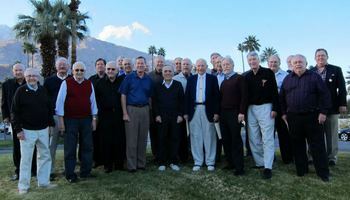 We are 40 men strong under the direction of Alan Scott. Visit us anytime! our rehearsals are open to the public and to potential new members, so why not pay us a visit. Want The Sandblaster Chorus to sing at your next function? Why not hire The Sandblaster Chorus to entertain at your next event? We can perform at corporate functions, charity events, community Entertainment events, birthday parties, christmas parties, awards nights, weddings, engagements, anniversaries, engagements, and even funerals and memorial services.